"I so enjoy working with Will and his team. The world is all the better because people like you are in it and I hope we're together for a long time to come." Thank you for your interest in becoming a Host Family for My International Family! We are always looking for wonderful Host Families willing to become the cornerstone of a great American homestay experience for an international guest! Step 1: The first step to becoming a Host Family is to complete a Host Family Profile. The information you provide on your Host Profile allows the Homestay Coordinator to match you with in-coming guests. 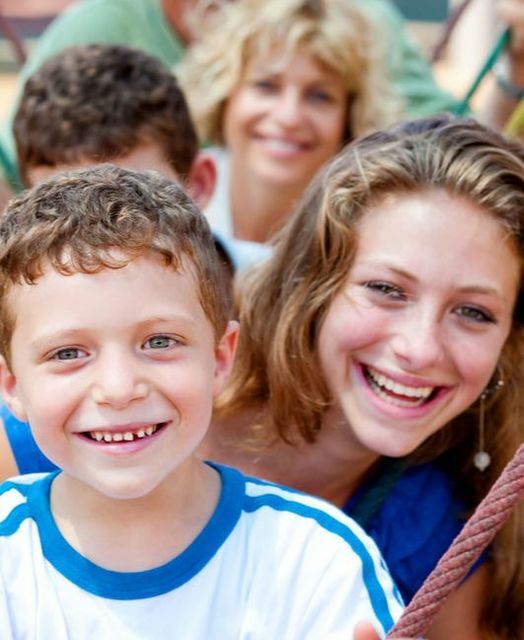 Step 2: Once we receive your Host Family Profile, a Homestay Coordinator will be assigned to you. Your Coordinator will contact you within 2 business days to confirm we have received your Host Family Profile and continue the on-boarding process with you. Step 3: Review, sign, and return the ﻿Host Agreement. 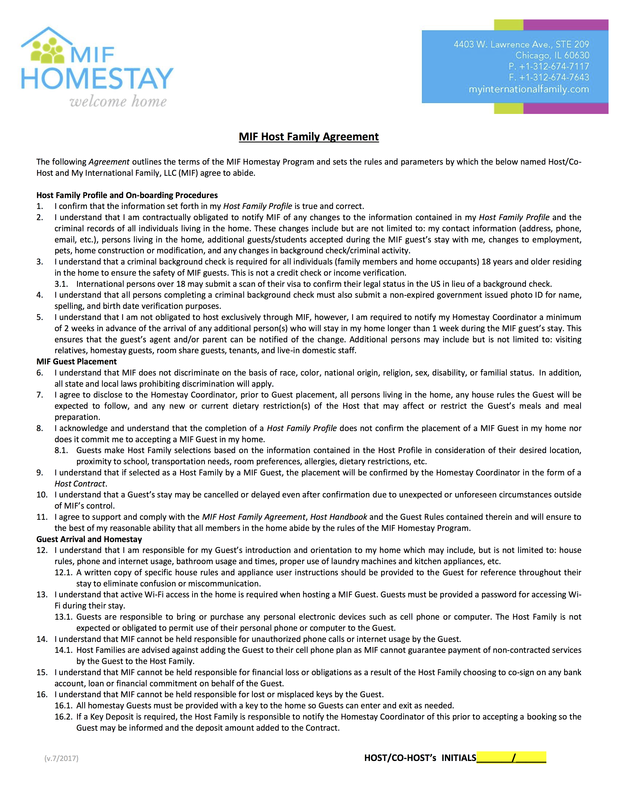 This form outlines the roles and responsibilities of a MIF Host Family. If you have any questions relating to this form, your Coordinator will be happy to discuss these with you. Step 4: Wait for a booking to come your way! Your Homestay Coordinator will contact you with prospective guest bookings for your consideration. Step 5: Keep in touch! Let your Homestay Coordinator know of any changes that need to be noted on your Host Profile (phone number, email address, pets, family members, etc.). 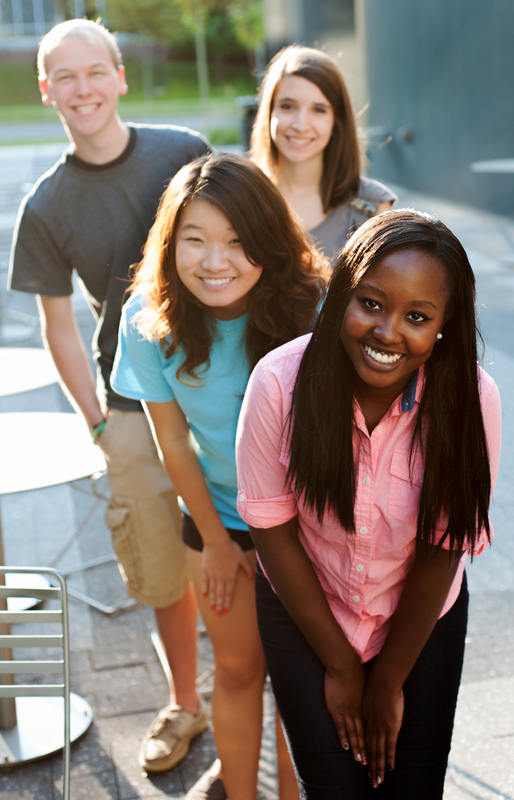 Check out our "Frequently Asked Questions." Your email address, name and any other information you provide, such as address and phone number, are held in strict confidence. MIF does not sell, rent, lease or give away your personal contact information to any outside or third party for marketing purposes. Nor will we send you unsolicited email. 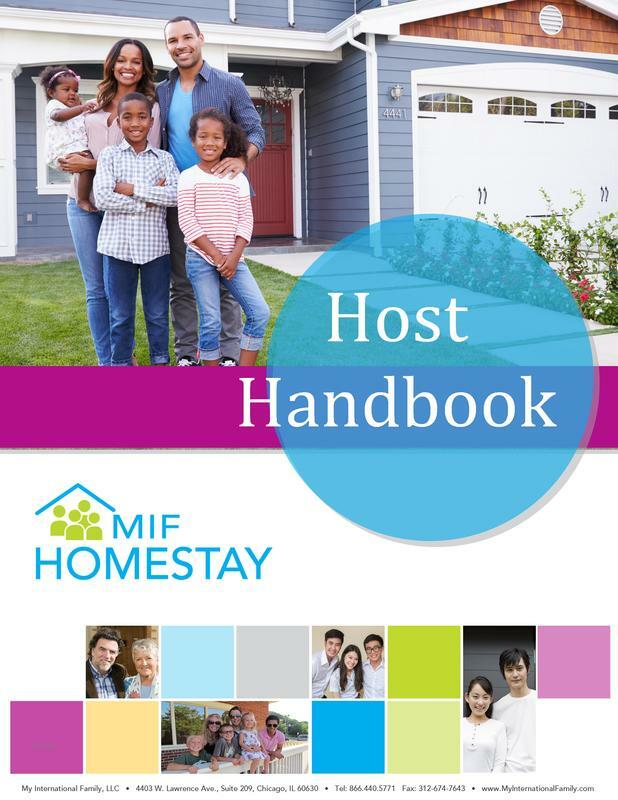 If your personal information changes, or if you no longer desire to be a host family with MIF, you may correct, update, delete or deactivate your Host Family Profile by making the change with your Homestay Coordinator or by contacting us. We will respond to your request within 10 business days.